Not every grandfather gets the honor to be called Papa. Congratulations, you must definitely be one of a kind! 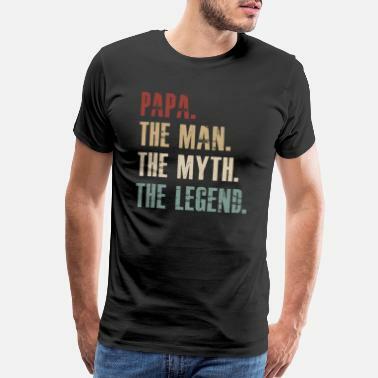 Whether you are the kind of Papa who can fix anything, or your superpower is spoiling your grandchildren, among Spreadshirt’s numerous Papa T-shirts, you will find the one that fits you the best. Have a look, and find your new favorite cool or funny Papa tee.. Every Papa Bear deserves one!